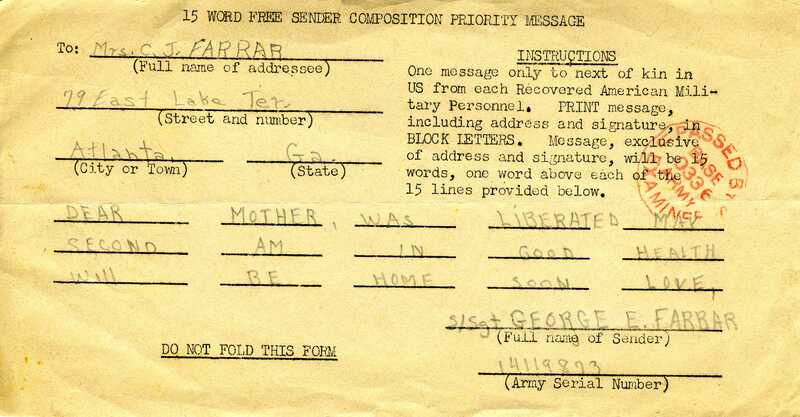 On May 28, 1945, almost four weeks after George Edwin Farrar had been liberated, the Adjutant General sent a telegram to his mother. The Secrtary of War desires me to inform you your son S/Sgt. 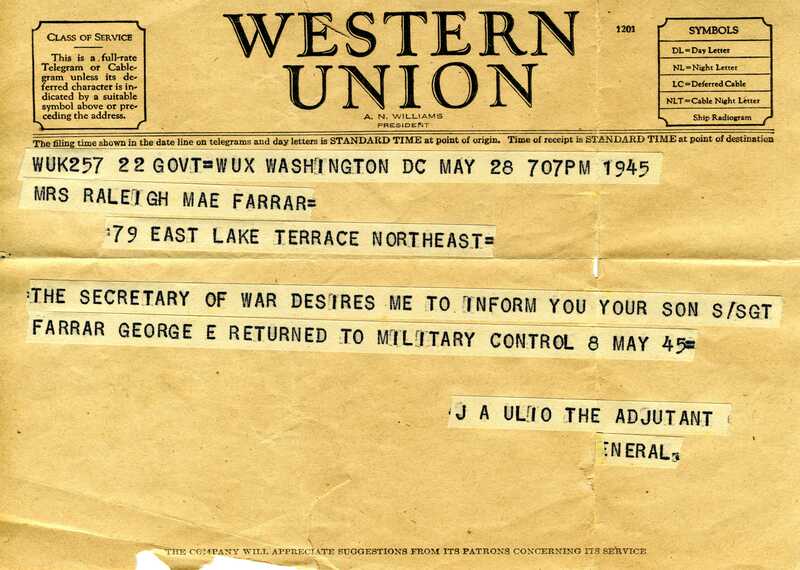 Farrar George E returned to military control 8, May 45.